Today I have a more "lifestyle" type of post I suppose. I went into Bed Bath and Beyond the other week and they had a display of these right at the front and my brain immediately went: I must own this. Doesn't it just draw you in and go "I will make you delicious drinks that are good for you, buy me, look at how amazing I look," because it definitely said that to me. It was $39.99 CAD but I only buy things from Bed Bath and Beyond when I have one of their 15% off coupons, which you can get usually in their weekly flyer or they send out emails every couple of weeks if you sign up for their mailing list. 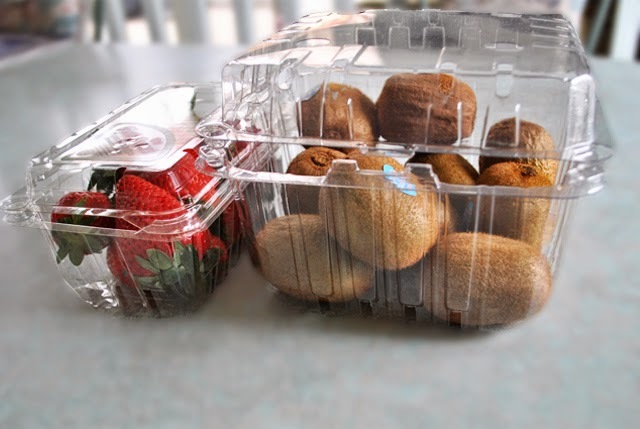 I had a ton a kiwis on hand because I bought a giant tub of them from cost co so I was wondering what in the world am I going to do with all these kiwis because of course they ripened all at the exact same time. 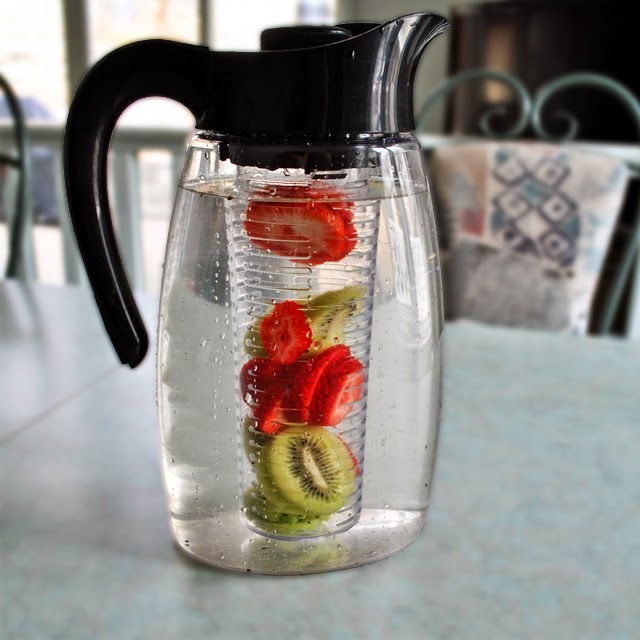 I thought it would be fun to try to make some strawberry kiwi water with the fruit infuser as my first flavoured water experiment. It actually turned out really nicely. At the beginning you could mostly taste the strawberry, but as I let it sit longer it really took on a strawberry kiwi taste. 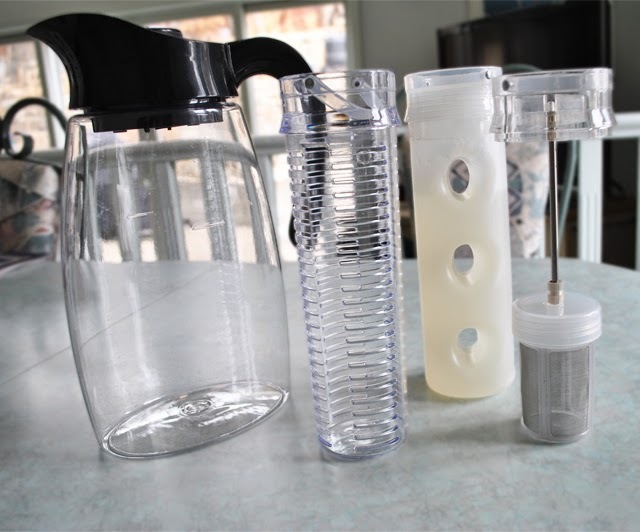 I left the infuser in for a couple of hours and then pulled it out (it has a handy handle on top to easily remove it when you're done infusing) once I thought the water was flavourful enough. 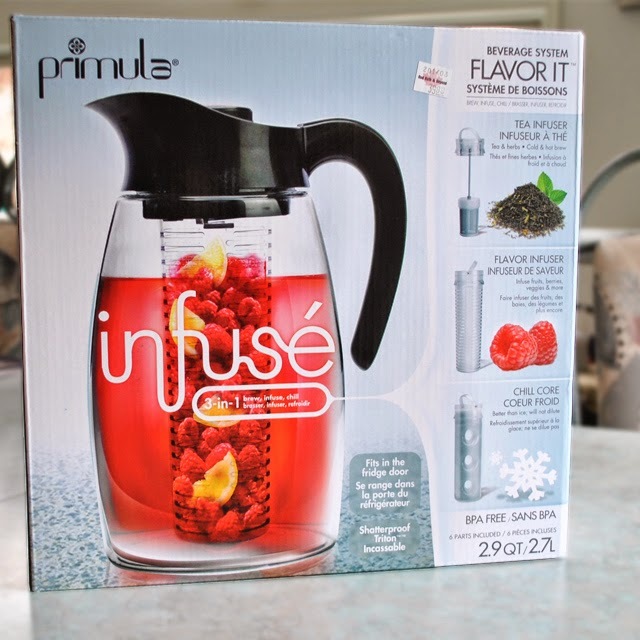 It got unpleasantly cold again last week so I wasn't in the mood for trying out any other flavour combinations or the tea infuser but now that its getting nicer keep a watch for more flavoured water ideas on my blog. From what I've used so far I definitely recommend this product, and I've saved the best for last in that the jug itself is dishwasher safe. Which is always such a bonus for me. Anything I can throw in the dishwasher instead of cleaning by hand is a winner in my books.